We offer a stronger piston pin for the MPE-750 / 850 engines. The original pin is not available, as it’s sold only with the complete piston kit. You must order (2) pins to rebuild an engine. 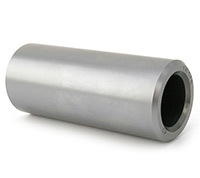 We offer a stronger piston pin for highly modified MPE-750 / 850 engines. The high boost / high horsepower piston pin will accept up to 20lbs boost & 200 horsepower. You must order (2) pins to rebuild an engine.